SELF CATERED in summer. 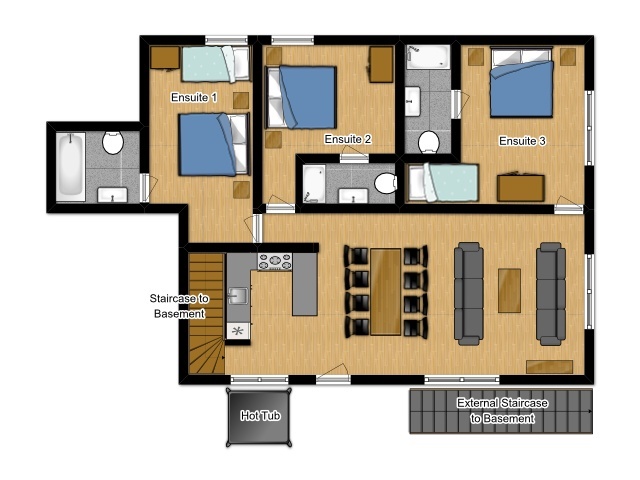 Situated right in the centre of Morzine yet hidden from view in the old quarter of town. The Little Grange is just a 3 minute walk from both Le Pleney and the Super Morzine cable cars. The chalet’s central location means that all the activities that Morzine has to offer are within touching distance. 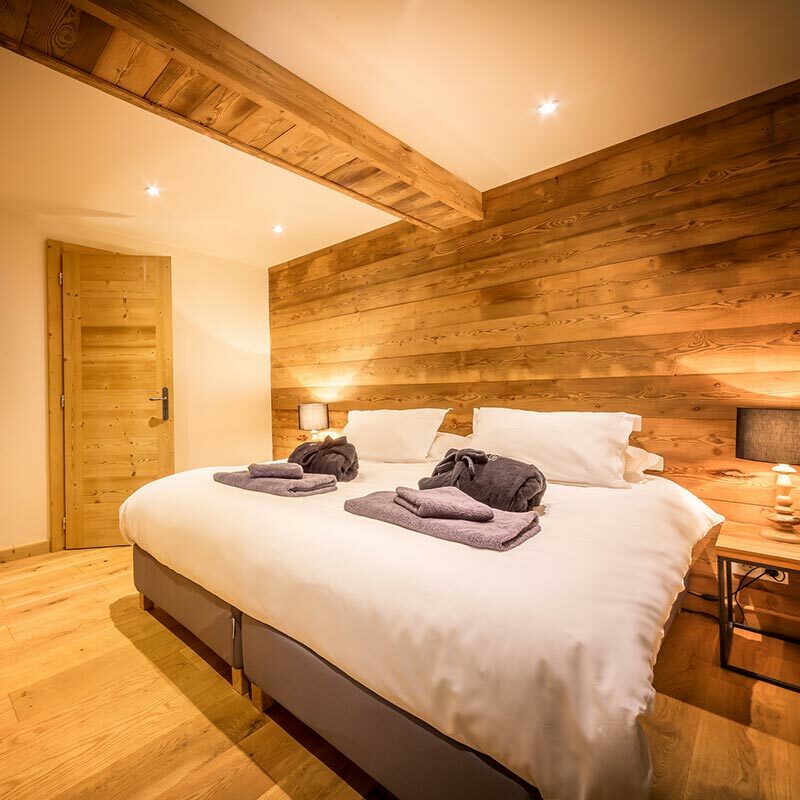 The Little Grange is a lovely property situated on the oldest road in Morzine. In total The Little Grange can sleep 11 people. 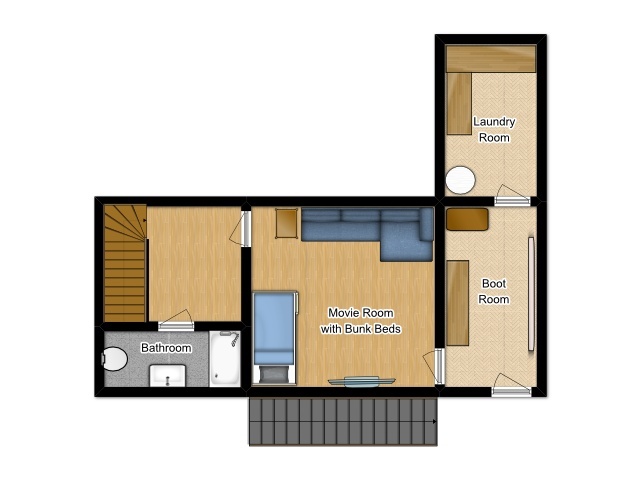 There are 3 ensuite bedrooms along with a Movie Room that has a Bunk Bed along with it’s own private bathroom. All bedrooms come with a nice range of Cole and Lewis toiletries including shower gel, shampoo and conditioner. The beds in each bedroom can be configured as twins or super king size doubles. All beds have super comfy mattress toppers for that added bit of luxury. The Little Grange has a large modern open plan living area with all the touches of a luxury property. Solid oak floors run throughout the chalet and guests can kick back and relax facing the mountains at the large sold oak table in the dining area. There is a Bose music player that can be connected to by bluetooth so that guests can play their own music. There are also a number of boardgames for your enjoyment. The Little Grange has a private terrace at the front of the property. There is a seating area along with hot tub to soak in after a long day in the mountains. The terrace is south facing so enjoys sunshine throughout the day into the early evening offering the perfect spot to sip a pre-dinner drink. In the basement there is a large boot room that can store a number of mountain and road bikes. The above prices are based on a Sunday to Sunday self catered stay. We ask for a 30% deposit to secure the booking and then the balance 8 weeks before arrival. The Little Grange is located in the centre of Morzine on the Chemin de la Coutettaz. It is walking distance from both Le Pleney cable car and Super Morzine cable car. The Little Grange is extremely close to all the local ammenities in the centre of Morzine ski resort.